Can’t find your card, because you’ve crammed too much stuff in your wallet? Well here’s the solution to your problem. 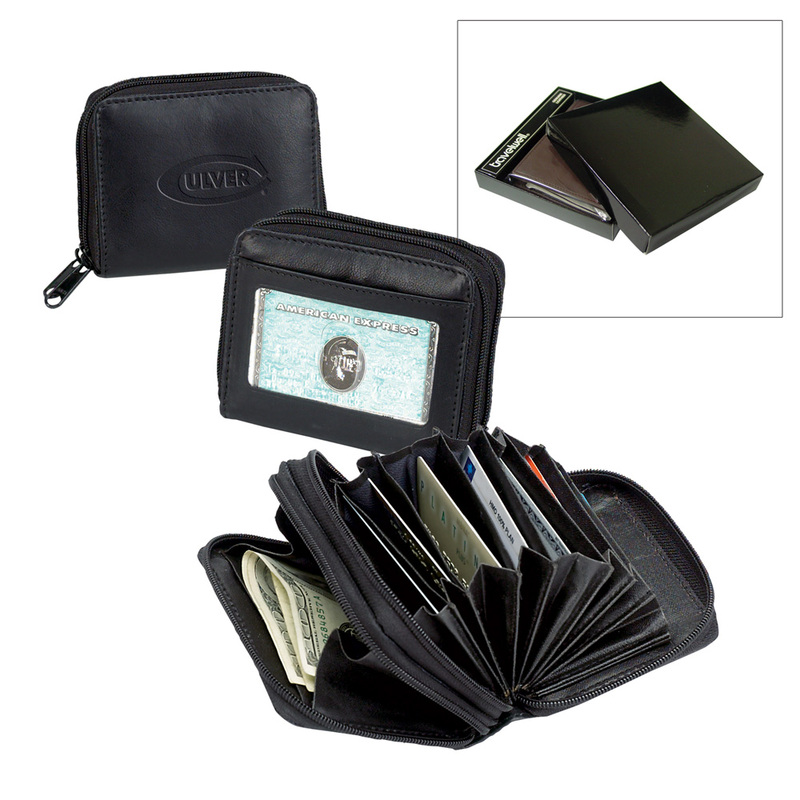 Made of fine NAPA cowhide, this ultimate wallet features a unique 10 accordion file, allowing you to easily view, locate and access your countless cards. A separate compartment for money and clear ID window add appeal. Pack Info. : 80 pcs / 28.00 lbs. Pack Note: (Actual Weight) / 24" x 18" x 10"